● understand themselves as communicators. Foundation students will become familiar with basic greetings, introduce themselves, families, animals and numbers (counting from 1-10). Year 1/2 students will continue to learn about numbers (1 to 20), greetings and phrases, simple classroom instructions, colours, days of the week, four seasons, likes and dislikes, animals and the tropical jungle. 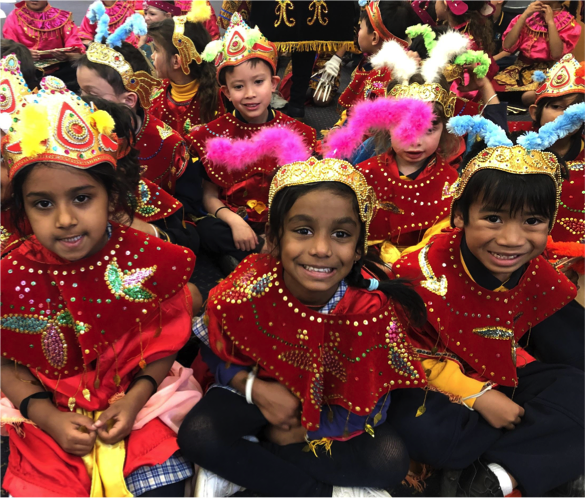 Year 3/4 students will build on their knowledge and extend further by exploring about Indonesian geography, how to express themselves, hobbies, phrases for travelling, opposite words, words for motions and actions. Year 5/6 students will progress further, building on their experiences. They will be extended and supported as they develop skills in constructing Indonesian sentences and being able to speak, translate and read relevant written texts.